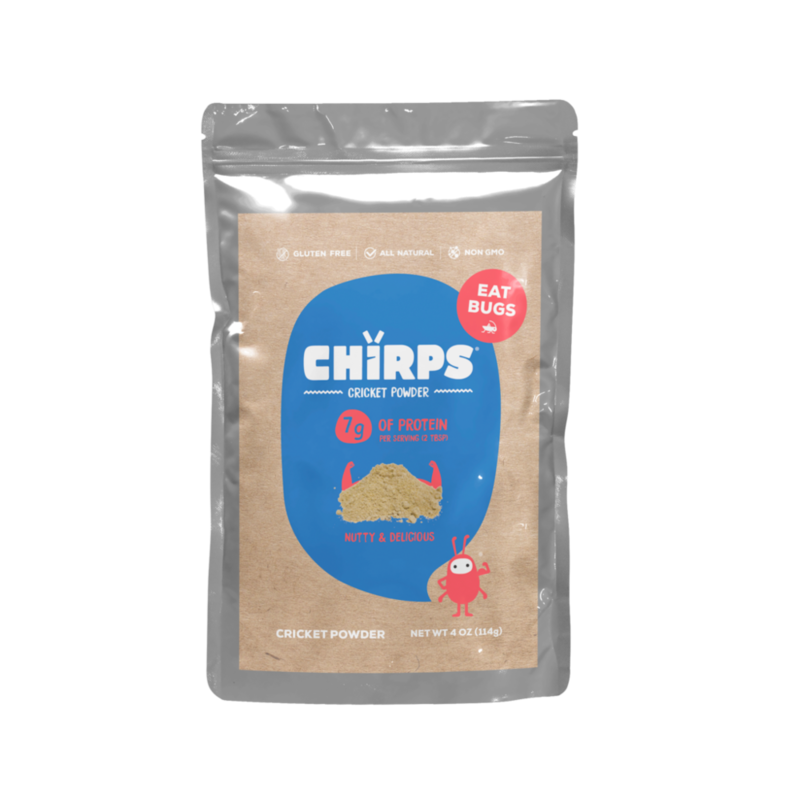 Chirps, co-founded by Rose Wang and Laura D'Asaro in San Francisco in 2016, is a food company that offers products made with insects. It aims to get people excited about eating bugs, as they are one of the most sustainable and nutritious protein sources. It currently sells tortilla-style cricket chips in multiple flavors as well as cricket protein powder on its website and at selected retail locations in the United States. What is your background before co-founding Chirps? I was still a senior in college, where I majored in psychology, when I had the concept of Chirps. I was in China for one summer, and I saw street vendors selling scorpions in Beijing. All of my friends were daring each other to try, so I stepped up and said I would do it. When I put it in my mouth, my first thought was it tasted just like shrimp. After I got back to the United States about a week later, my college roommate Laura D’Asaro, now my co-founder, sent me an article about why the world should eat insects, and it turned out that she had a similar experience eating a fried caterpillar in Tanzania. So we did some research and found out insects are one of the most sustainable protein sources. For example, it takes two thousand gallons of water to make a pound of beef, but only one gallon of water to make a pound of crickets. 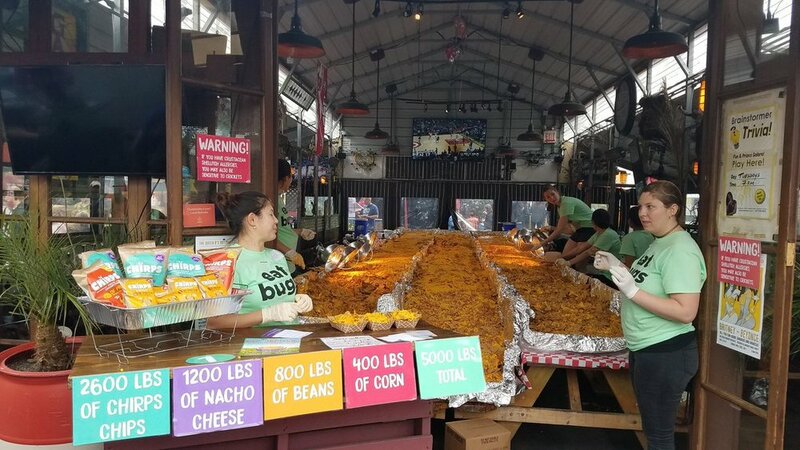 I was thinking, this would be a perfect protein source, why were we not eating this? Why did you choose to make chips instead of other products? We wanted to make a mainstream product at first, but we are planning on making other products in the future. How did you develop the chips and find your manufacturer? We worked with a chef after school at a restaurant for a very long time, but then we realized that a chef couldn’t make a product in a consumer packaged good, so we had to find a manufacturer. We called over 400 manufacturers before we found one that could work with us, and we developed the recipe with them. The whole process took about two years. There are two ways to do pricing. You either go top down or bottom up, and we did both. We made sure that we got the margins we needed and everyone else got the margins they needed. We also want to price at a price that reflects the value of our products. We are definitely on the high end side but not ridiculous. For example, for 5 ounces, it’s sold for $3.99. You could get carrot chips around that price. We want to price ourselves around the premium chips because you are essentially getting more for your bucks since there is more nutrition in our bag of chips than regular ones. How did you overcome the difficulties imposed by the government? The State Department of Health was very unhappy about us using cricket. We also had to go through trying to convince them something they had no incentive to do, because it just created more headache and work for them. The only solution is persistence. We called them everyday and ended up working very closely with them for 9 months. You started with just Laura but later brought on Meryl Natow as the third co-founder. Why is that? We looked at what our skill sets were, and one of the biggest challenge was branding and design. We needed somebody who could fill in that hole. Meryl Natow is our friend and had expertise in that, so we brought her on as our third co-founder and creative director. Who are the additional team members you hired and how did you find them? We look for people who are complementary to our skill sets, because there’s no way we can do everything on our own. Right now, we have an office manager, many brokers who work on sales leads, and we contract a manufacturer who does all the product development. We do source our employees in the traditional way by putting on job postings, and we ask friends in the industry and who are entrepreneurs for recommendations, but the best people we have are the ones who actually found us. How did you convince them to work for you instead of a more established company? It’s not about giving them a sales pitch, because if they come and realize our sales pitch is not the reality, they’ll just leave. Our current office manager actually used to work at Kraft. We just had many meetings over many months, and we just completely opened ourselves up and told him what we were working on and what we had challenges with. And for him, he just became really interested in our mission and wanted to add a lot to the team. At the beginning, no one wanted to invest in us, so we had to find other ways for funding. The Kickstarter campaign helped us get everything started. After that, we did a lot of pitch competitions. We won MassChallenge. We won the Dean's Challenge at Harvard, and the prize was $30,000. We won a lot of different pitch competitions and raised about $200,000. Then we went on Shark Tank, and Mark Cuban invested in $100,000 in us for 15% of the company. Now we have other angel investors. How did you find other investors? We had enough cash flows so we didn’t need to raise money, but we had been talking to different investors throughout the years. Then it came to the point that we needed more money last year, so we went to them, and they gave us money. Of course the fact that Mark Cuban invested in us helped as well. A lot of people are against the idea of bugs, not to mention eating them. How did you convince people to try Chirps then? There’s no way I could have done it by myself. There is actually an entire trend of eating insects and a lot of media buzz about it. We are lucky that we were the first ones in the market when the interest came, so I’d say we rode along the wave. Eating insects is also not just a marketing play either. It’s based on a real problem, science, and necessity. The world cannot sustain itself with this growing population of people. There is a real need for sustainable protein sources, and eating insects is actually one of the only viable solutions in the future, so that’s what makes people want to try Chirps. How did you market Chirps? We use all the traditional marketing strategies such as Facebook ads. We do our research, pursue every opportunity that comes our way, follow through, and understand the returns on investment. But I think the most important part about marketing for us is to have fun with our product and make it fun for everybody else. It’s very true to who we are. That’s why big companies can’t do that. They create things out of vacuum for the sake of dollars, but we create this because we believe in the mission. We put all of our heart and sweat and tears into it, and that comes across. There is no short cut to develop a lasting brand, except for doing it the most authentic way possible. How were sales and the initial reaction when you launched? It was doing well online. We had a lot of pre-orders already before we launched. Retail is a whole different game. It is much harder to see how well we would do until years out. How did you manage to have your products sold at retailers? With the help of the media and other companies in the space, we are able to carve out enough interest and awareness. For a retailer, they want a bigger assortment for their customers, and it works for our favor. We are able to offer a really unique proposition because there aren’t any other products like ours in the market. How did you manage the competition with other brands who use insects in their products? I’m not worried about competition. The market for food made from insects is small, and I think we can all grow it together, so we should actually work with other brands right now. Also I think if we do become competitive, it’s actually good news. That means that the industry is growing.